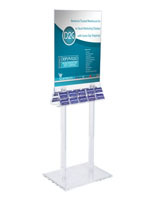 Information Stand for Posters & Brochures | Double the Impact! 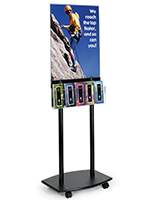 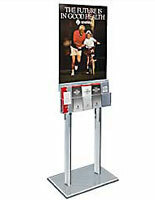 This information stand for posters and brochures addresses all of your publication needs! 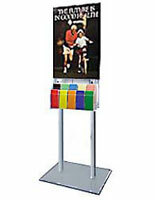 The large acrylic holder is the perfect advertising tool for business. 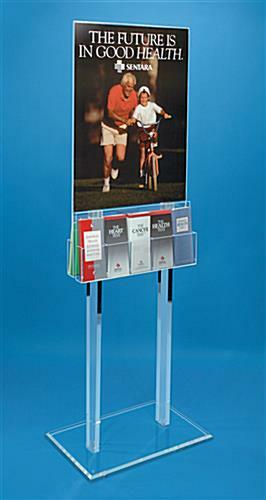 This informations stand for posters and brochures provides a 22" x 28" signage area, beneath which are five dividers for leaflets. 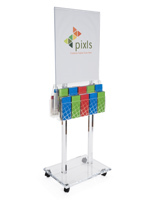 The pockets are adjustable for either 4" or 8-1/2" publications using peg dividers. Buy this information stand for posters and brochures for cheap! 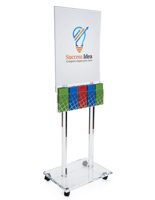 This sign mounted assembly is a marketing must-have!